"Wow! That stuff is crazy enough to be Shakespeare!" I was spinning the story line of L'Ebreo / The Jew to a usually sympathetic friend. So I was taken aback - but I had to admit that she had a point. Plus - astonishingly enough - a Jew in the title role. Not to mention a hapless Christian impersonating a Jew (and making a comic mess of it). 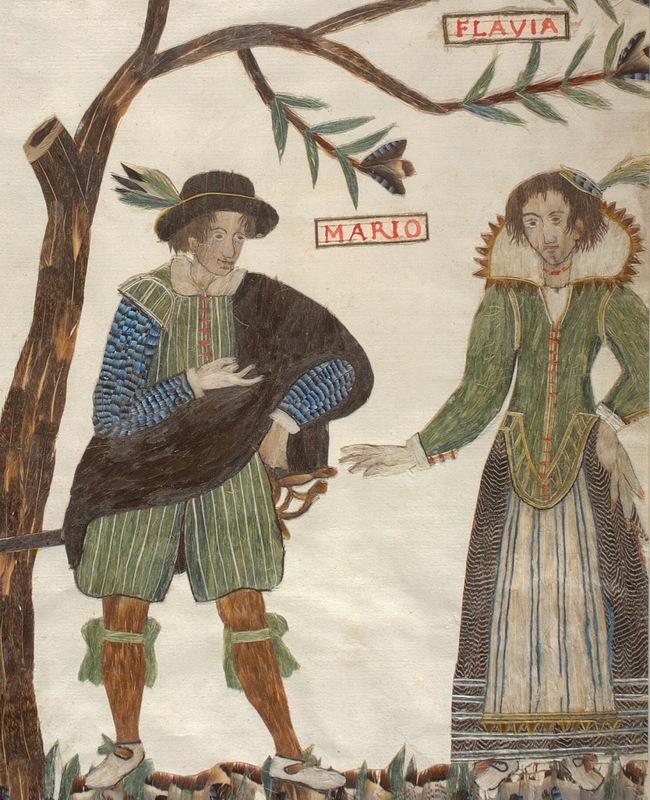 The actors of the Compagnia dei Gelosi, circa 1590, starring Isabella Andreini. 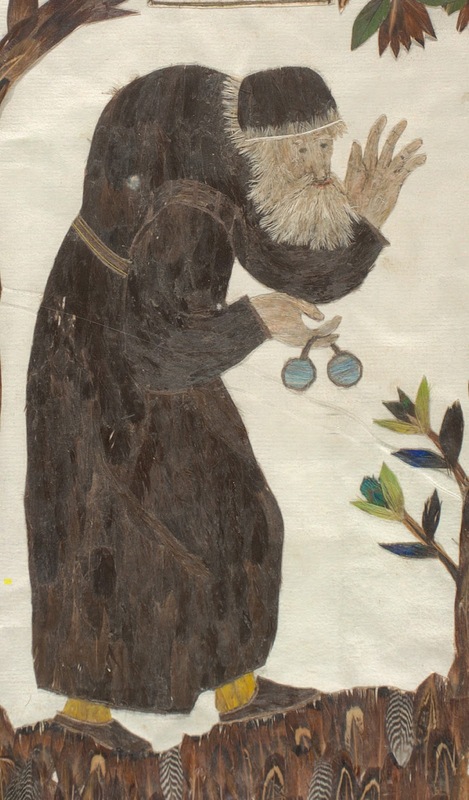 the Younger, especially in L'Ebreo / The Jew. L'Ebreo / The Jew is intensely Florentine in its language, its local references and its brand of humor. 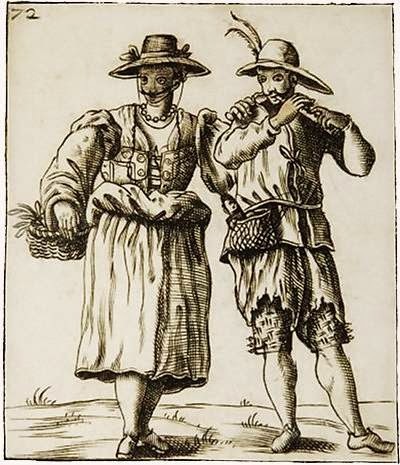 So, we're looking at lively caricatures of the folks next door - if you happened to be living in the Medici capital around 1600. But what - in fact - is going on? Meanwhile, Ambrogio Bordoni—a pompous and miserly Doctor of Law—has also fallen in love with Oretta. He is committed to supplanting Giovanni as Oretta’s intended husband by any possible means. - derived from an 18th c. French source. Federigo, a Christian marriage broker, and his alter ego Melchisedec, a rich Levantine merchant (a Sephardic Jew from the Ottoman Empire) propel the action. Ambrogio Bordoni approaches Federigo for assistance, since—as a marriage broker—he should know how to unmake matches as well as make them. 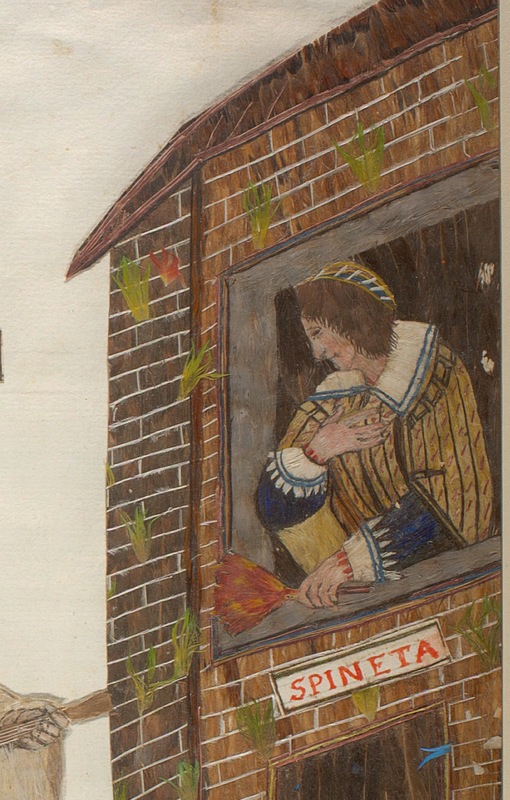 Federigo decides to enlist Melchisedec the Jew, who is a business partner of Oretta’s father Alamanno. Beltrame - imagine the marriage broker Federigo (D. Minaggio, 1618). The plan is for Doctor Ambrogio to disguise himself as another Levantine Jew from Ancona (with turban and fake beard). He will call on Alamanno Tolosini in the company of Melchisedec and insinuate the false information that Giovanni Barba is bankrupt and has fled Ancona with massive debts. This will impel Alamanno to call off the marriage and give his daughter to Doctor Ambrogio instead. 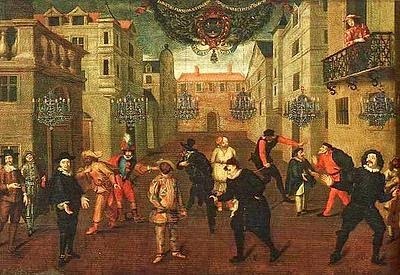 Italian comedians performing at the French Court (17th Century). 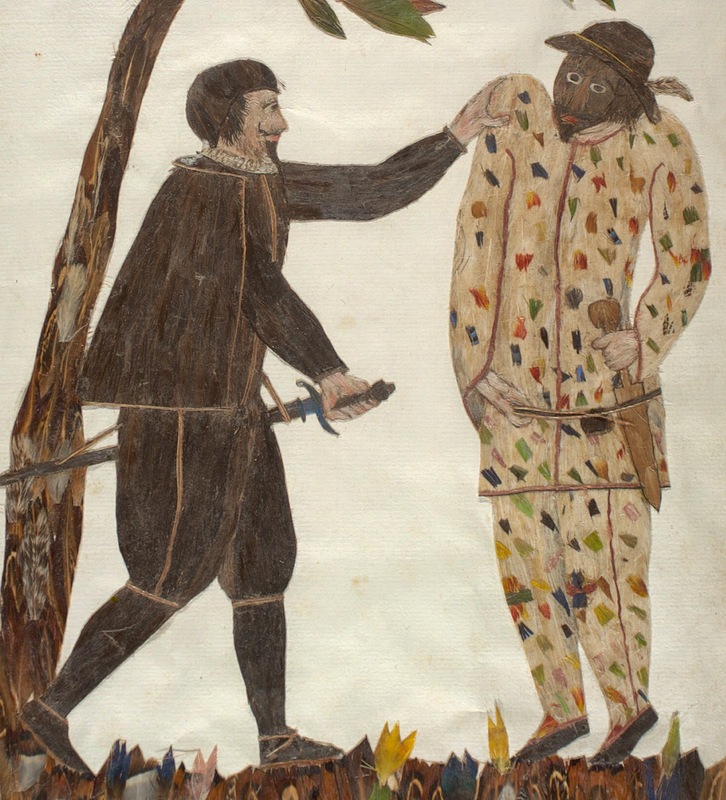 Melchisedec allows himself to be arrested for debt by his partner Alamanno—in order to bring the police onto the scene, so that he can expose the machinations of Federigo and Ambrogio (with whom he has fallen out). 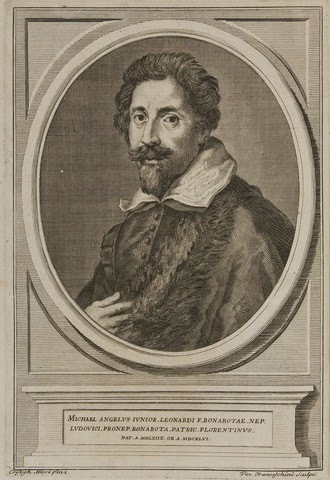 Melchisedec or Giovanni Barba (D. Minaggio, 1618). Too many Levantine Jews - real or disguised? ...and Giovanni himself is rich and flourishing. Now that Melchisedec has taken his revenge and unmasked his accomplices, he is happy to repay his debt to Alamanno Tolosini—who drops all charges against him. - imagine Doctor Ambrogio's flight from Florence (Cesare Vecellio, Venice, 1590). 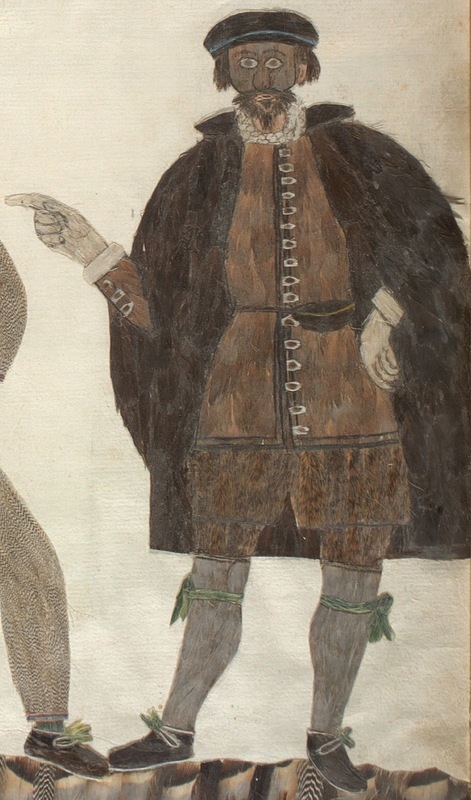 Ambrogio Bordoni panics and flees Florence, disguised as a peasant. And Giovanni Barba is reinstated as Oretta’s husband-to-be. 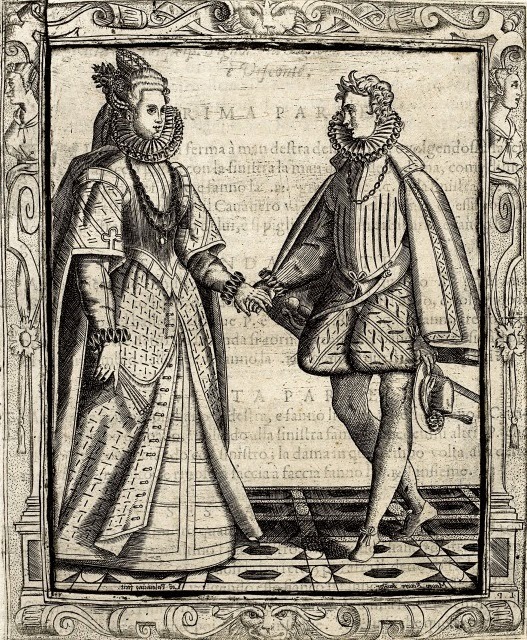 - imagine Giovanni Barba and Oretta Tolosini (D. Minaggio, 1618). 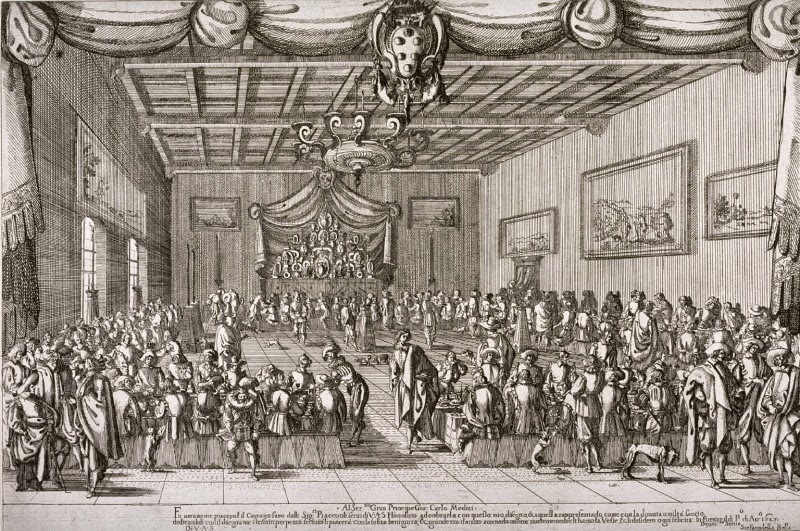 The couple formally pledges their troth at the end of the last scene and the company repairs for a celebratory dinner—ending the play on a festive note. So, the play's the thing and L'Ebreo / The Jew tells one hell of a story. A slice of daily life in Late Renaissance Florence—balanced on the edge between the intensely real and the comically improbable. But it remains Michelangelo the Younger's least-known work—never published, performed nor even circulated in manuscript. L'Ebreo / The Jew survives in only a single copy: a rough working draft in the archive of the Buonarroti family in Florence—filling 116 folios (232 sides), written in evident haste, with much crossing out and revision. L'Ebreo / The Jew—a work in progress. The author signed off on the main body of the text (85 folios/170 sides) “finito addì 21 di settembre 1613” = “finished on the 21st day of September 1613”. But L'Ebreo / The Jew was still far from performable. The author left major inconsistencies in the story line, frequent shifts in the delineation of characters and sometimes rudimentary dialogue. A typical page of working notes for L'Ebreo / The Jew. Michelangelo the Younger briefly resumed work on L'Ebreo / The Jew some years later, composing a new prologue, redrafting the first two scenes (out of seventy-four) and dashing off many pages of notes and suggestions. L'Ebreo / The Jew: A Comedy. L'Ebre0 / The Jew is full of wonderful stuff. Intriguing characters... Sporadically brilliant dialogue... Startling situations... Privileged glimpses of everyday life in Medici Florence... Plus a Jew in the midst of the action. But the author left us a dynamic work—still in progress after four centuries. How do we determine its essential meaning—on the page and between the lines? And then, how do we bring his characters to life and make them speak—on the stage to audiences today? Thank you, Anonymous! This means a great deal do me. Even my best friends usually tell me to shut up because I talk too much... Seriously, it is good of you to say that I "clearly know what I am talking about"--but I am only at the beginning of a big project with "L'Ebreo" and I will know far more as things progress. Meanwhile, I have several more posts planned in this series--and eventually, a range of publications, scholarly and otherwise. I am, however, a bit confused by your reference to "videos". I wish that I had some to share but as yet, I don't. Ed G.